Although there was no announcement of arms or explosives being found, police said two men had been picked up for questioning. 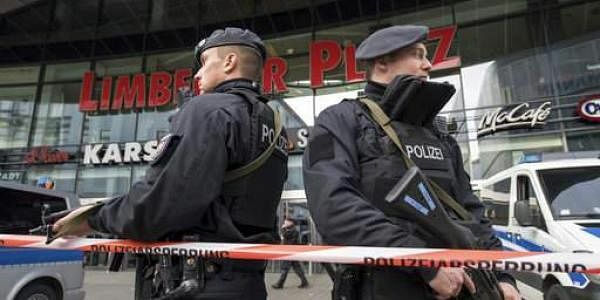 BERLIN: German police said today they had released one of two men held over a terror attack threat that led authorities to shut down a major shopping mall in the central city of Essen. The second man was still being questioned, said Essen police, adding that authorities were still examining "objects that were found in his possession". German authorities yesterday ordered the mall in Essen closed over "concrete information regarding a possible attack". Both were arrested in the town of Oberhausen near Essen. Germany is on high alert since last December's attack in Berlin, when a Tunisian national hijacked a truck and rammed it into a crowd, killing 12 people. German media have suggested that yesterday's likely thwarted attack in Essen was linked to the Islamic State group. WDR broadcaster said plans for the attack stemmed from a Salafist from Oberhausen, who had travelled to Syria and who is known to German authorities. The man is a German fighter of the IS group, Bild said, adding that using online messenger services, he sought to recruit several people for an attack in Essen and provided instructions on bomb building. Separately, police in the southwestern city of Offenburg were deployed late yesterday after a "possible threat of attack", citing a local disco as a potential target. But they gave the all-clear today, without providing details. Domestic security officials estimate there are some 10,000 radical Islamists in Germany, with roughly 1,600 among them suspected of being capable of violence. The Islamic State has claimed responsibility for attacks in Germany in the past year, including the Berlin Christmas market attack, the murder of a teen in Hamburg, a suicide bombing in Ansbach and an axe rampage on a train in Wuerzberg that injured five.